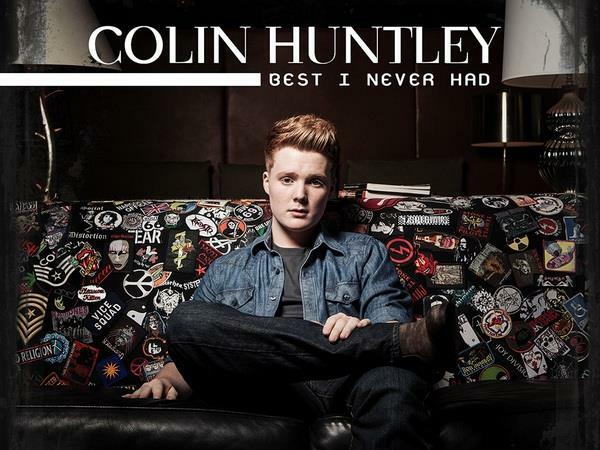 Join us this week as we welcome pop rock music recording artist, Colin Huntley. Colin is an emerging Singer/Songwriter/Guitarist based in Austin, TX. He plans to graduate high school early ASPVA (Austin School for Performing & Visual Arts) in 2015 and begin pursuing his music recording & performing career full time. He completed his first EP “Eclectic” in 2012 and followed that up with his second ep “Best I Never Had“ in March 2014. Accompanying the second EP was a first official music video for title track “Best I Never Had“. The video was produced and directed by Nayip Ramos in LA and has been well received with over 300,000 YouTube views and counting. Colin is currently recording new original songs for a 3rd EP with Producer Matt Noveskey (Bassist for Blue October) at Orb Studios in Austin TX. In July, 2014 Colin was one of 30 nationally screened performers to perform live on prime time television on the season premier of ABC’s Rising Star. We will talk to Colin about his upcoming schedule, get a behind the scenes look at his music, feature his latest songs, and ask him to share his message for the troops. Please be sure to visit Colin Huntley at http://colinhuntley.com and spread the word. Fans are welcome to call in and speak live with with Colin during the show (718) 766-4193. If you would like to participate in the live chat during the show, you must sign up on the show site first and then log in during the show. And as always we will give shout outs to our deployed military listeners. Be sure to join us, Sunday 1/25/2015 at 4 PM EST! Our message to the troops....WE do what we do, because YOU do what you do.